Did you know Candy Canes are thought to have originated back in 1670 when a German choirmaster at the Cologne Cathedral handed out sugar sticks bent to look like shepherd’s staffs to keep the kids quiet. What was he thinking? Giving sugar to kids to keep them quiet! The original candy canes were all white and the stripes were added about 50 years later. We have all heard the famous line from Twas the Night Before Christmas poem – “while visions of sugar plums danced in their heads” but how many of you know what sugar plums actually are? Originally, they were sugar coated coriander seeds that tasted sweet at the start and then offered a spicy burst of flavor. After a while, pieces of dried fruit were added to become the confection we know today as sugar plums. 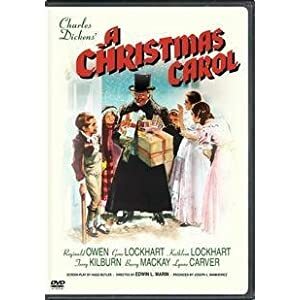 So last night we watched the 1938 version of Charles Dickens classic A Christmas Carol like we do every year to get us in the Christmas spirit. In the movie Mrs Cratchit serves her Figgy Pudding, you know the dessert made famous in We Wish You a Merry Christmas. What is Figgy Pudding, also called Christmas Pudding? It is a dish similar to bread pudding and made with figs, of course, bread crumbs, nutmeg, cinnamon milk and a variety of other ingredients depending on whose recipe you are looking at. After it is baked, it is topped with a cognac or brandy and set ablaze. NPR has a great story about Figgy Pudding plus a wonderful recipe for Sweet and Steamy Christmas Pudding here.